In Destination Flavour, food writer and presenter Adam Liaw curates the best recipes and stories from the acclaimed television series, along with dozens of brand new dishes encountered in his travels. Celebrating food, people and places across six chapters, this book features more than 80 authentic and achievable recipes, unique stories of people Adam has met along the way, stunning food and travel photography, behind-the-scenes insights into the making of the show and candid moments from the road. This is the book that fans of the show have been waiting for. Wonderful cook book! Adam Liaw is an amazing chef, this book is one of his best! Appealing cover too, now on display in my kitchen. adam liaw is obviously a great writer, presenter and cook. 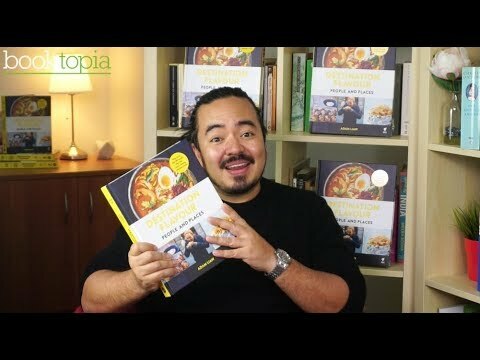 the book is extremely well written, i loved reading about his journeys in details (this is particularly interesting if you've watched him on his various destination flavour series - lots of missing additional information) and about the back story to many of the recipes. however... this is for me, personally, and for my household: most of the recipes just aren't for the home cook. a lot of the ingredients are exotic, and not ingredients that i'll go out of my way to get. most of them i probably couldn't get if i tried. a couple of the recipes in the japan section are alright though, but i most often cook japanese at home, so they're more familiar ingredients to me that i know are available. so if you like out-there ingredients, or are interested in taking a recipe and making it your own with what you can get, than maybe this book is for you. if not, it might be best to give it a miss. sorry adam, i still love you though.